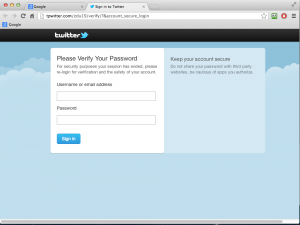 CAS Netlink - Ballarat Web Hosting - Clever Twitter Phish - Don't Get Caught! …it again looks genuine (click on the images to enlarge them). Check out the address in the address bar though – the domain is tpwitter.com. 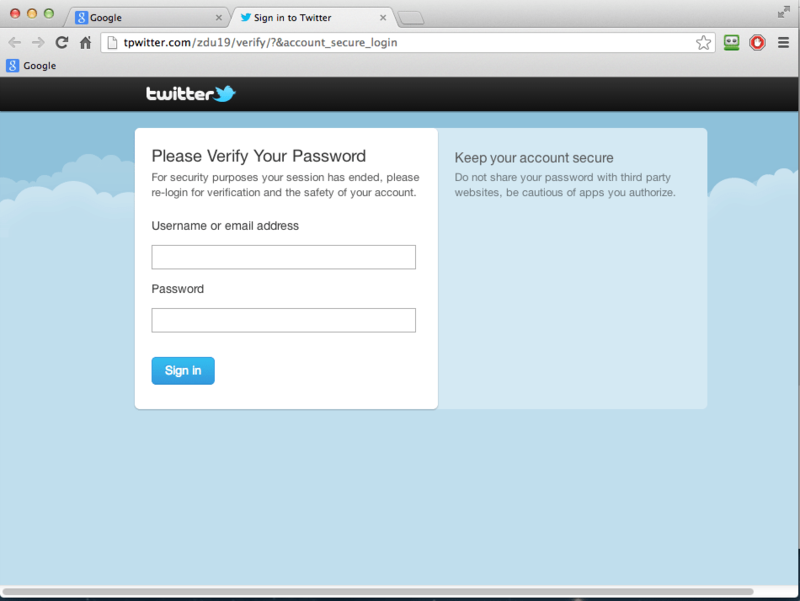 If you didn’t look or only gave it a cursory glance it would be easy to give away your Twitter login details. Always be very careful when you are asked to log in anywhere – some of the crooks out there spend a lot of time carefully crafting websites to trick you into giving up your login details.